You'll find many designer names like Karen Millen, Ted Baker and Bose, and high street favourites like M&S, Gap, Next and Clarks, all at up to 60% off. Plus well known shops such as: Adidas, Levi's, Nike and Tommy Hilfiger all have outlets at Freeport. It's not just about fashion though, you'll find Bose, Wegwood and Denby too! 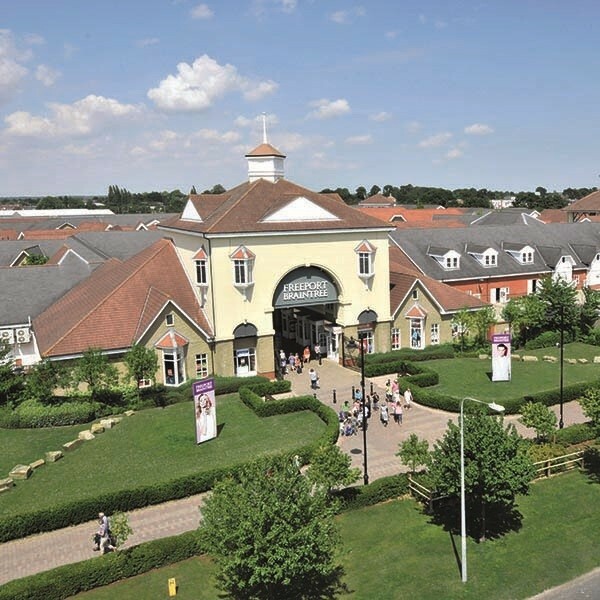 There's also a great selection of places to eat and drink, including Starbucks, Costa, Pizza Express, Burger King, Thorntons Café and Tutti Tuscan Grill. Everything you could want is right here and with new stock arriving daily, your trip to Freeport Braintree will always be worthwhile.